Create Tasks for User Story either from User Story itself or by editing User Story. 1. Click on Add Task on User Story. 2. Provide details to create Tasks. 3. For creating detail Task use Add With Details. 1. Edit User Story and go to the Task tab. 2. 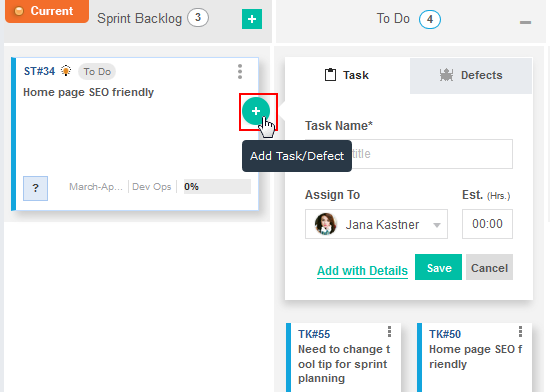 Click on Add Task to create Task under User Story.